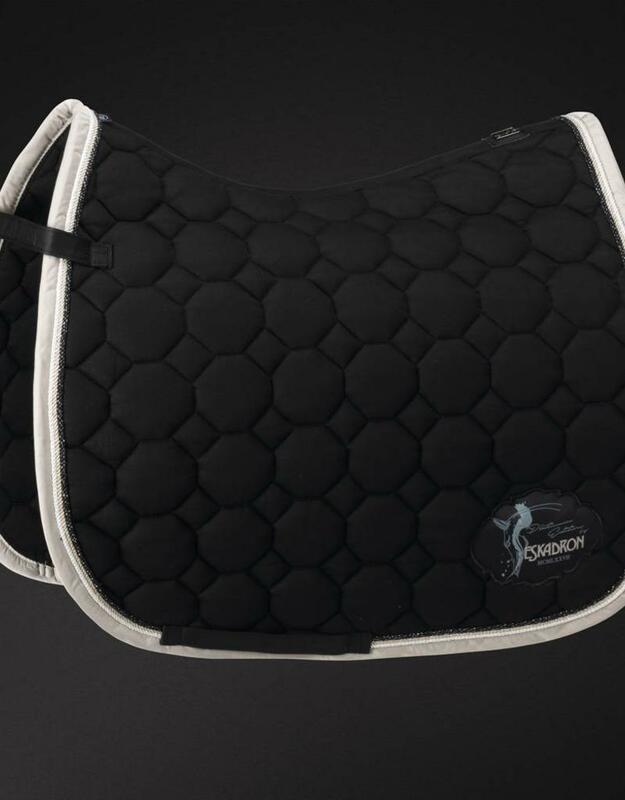 Lovely saddle cloth made of cotton upper fabric in the matching Platinum Collection colours. Medium quilting and Cool-Dry lining. With printed Platinum emblem on the left side, three cords and glossy binding. The Platinum Collection by ESKADRON is an exclusive and strictly limited edition! Sophisticated materials give the products a very elegant look.